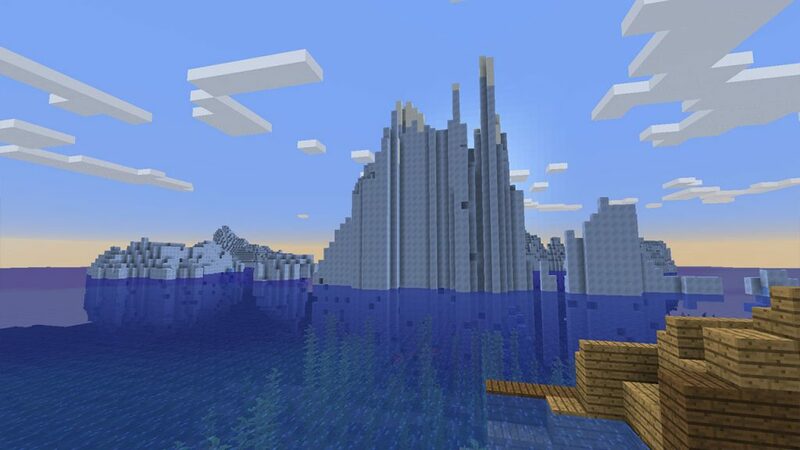 Icebergs are one of Minecrafts latest additions, added in version 1.13. Like real Icebergs, they will appear party above water, and also underwater. With them spawning in Frozen Ocean Biomes. They generate in random shapes and sizes, consisting of blue ice, packed ice and normal ice and topped with snow. Like in other cold biomes, Polar Bears can spawn on Icebergs. Due to the randomness of the spawns, Icebergs could be as small as islands or big as mountains. Right now, they can be pretty tough to find with them being so new to the game. Below, we’ve listed 3 seeds where you can spawn right next to Icebergs in the latest version of Minecraft. To check out some more Minecraft content, check out our dedicated area here. Our first seed brings you to these giant ice bergs which look like mountains. Sitting in a frozen ocean biome, they are very impressive to look at. There are plains biomes nearby which are perfect to build on. The ocean around the icebergs isn’t frozen over, instead consisting of small areas of ice. 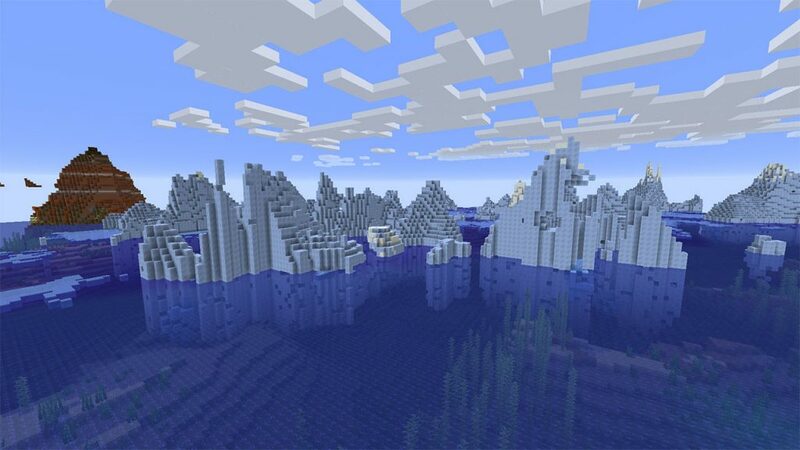 This next seed also has some great looking icebergs in Minecraft. There in a frozen ocean biome which is massive in size. Whilst the icebergs are more varied in both sizes and materials. These icebergs specifically have a lot of snow blocks built into them. Again, this is a good area to build your home near, with land and trees seen in the distance. 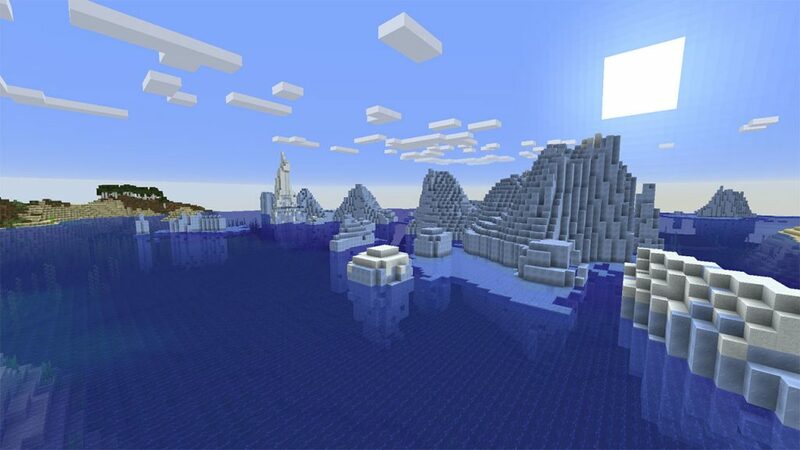 This is one of the best seeds available for Icebergs in Minecraft. When you use this seed, you will spawn in the exact position of the screenshot above. Putting you in front of a giant iceberg, as well as a sunken ship which can be explored. As you can see on the screenshot above, the icebergs here are enormous in size.